We worked hard to release it for a long time and we still not implemented everything we have in our minds, but the basic functionality is already there. 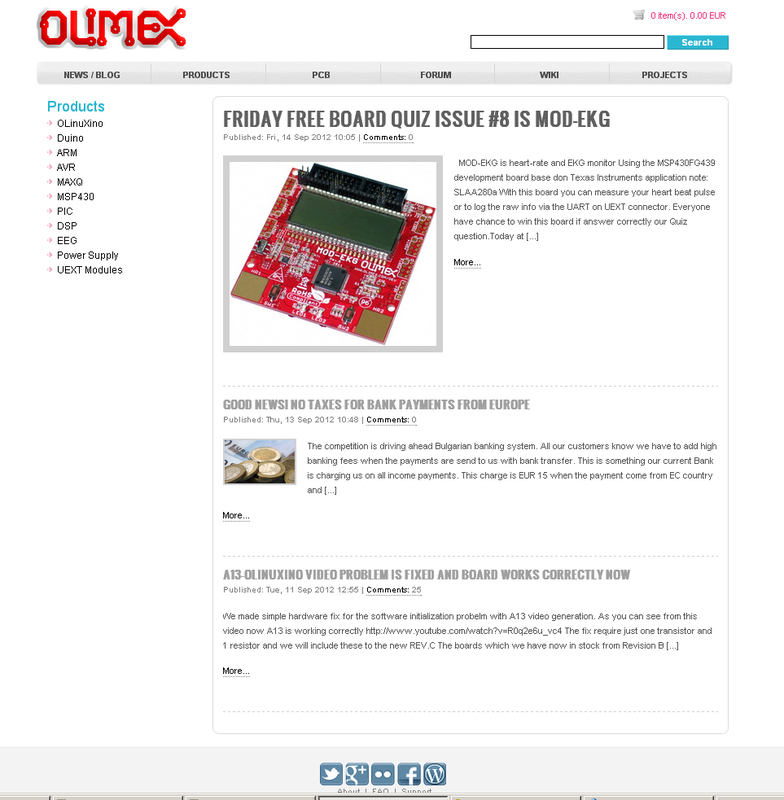 The products and PCB pages are similar to what we had already, the new sections are our Forum, Wiki and the Projects page. On the Projects page you will be able soon to submit projects which you did with our boards then other customers will be able to “rate it”. The higher your project is rated the more credits you can get which to use as discount for your further purchases. This is implementation of our idea for developer’s discount program. Congratulations for site and the new sections, I’m sure we’all enjoy them! I will miss the old site though, with all those 2.0 websites around, I kinda liked its old looking style :).